Nova Nation is streaming into Philadelphia today for a parade saluting Villanova's thrilling NCAA Championship. Jay Wright and his team will begin at 20th and Market at 1 pm and proceed to Dilworth Plaza at City Hall for a victory rally at 2 pm. Democratic presidential hopeful Bernie Sanders will be here for a second straight day of campaigning. He is at the AFL-CIO convention in downtown Philadelphia. Meanwhile, former President Bill Clinton is here to campaign for Hillary. Bill is planning stops in three Pennsylvania cities, starting in Philly today, Scranton tonight, and on Friday in Erie. The presidential primary in Pennsylvania is April 26. Democratic Presidential candidates Hillary Clinton and Bernie Sanders are addressing the PA AFL-CIO convention in Philadelphia this week. Clinton will be first up Wednesday, Sanders will get his turn on Thursday. Each is hoping to pick up support from members of the powerful organized labor group ahead of the April 28th primary. Philadelphia AFL-CIO President Pat Eiding isn't tipping his hand. Villanova is the NCAA Champion. The Wildcats beat the favored North Carolina Tar Heels in one of the best NCAA Finals ever. North Carolina tied the game with just 4 seconds to play when Villanova senior Ryan Arcidiacono fed Kris Jenkins who drained a 3 point swish as time expired giving the Cats a 77-74 victory. On hand to witness the historic game were members of the 1985 Villanova championship team and former coach, Rollie Massimino. Officials have confirmed a heavy equipment operator and supervisor were killed when a southbound Amtrak train struck a backhoe on the tracks Sunday morning in Chester. The engine derailed injuring the train operator and some of the passengers. The NTSB is reviewing data in the black box and video from the train to determine the cause of the crash. Today ZipRecruiter announced a new service called "Jobs for Babies" promising to help babies find their dream jobs. In a promotion video, babies are shown pounding on computer keyboards and crawling out of elevators. The ad claims babies learn 10 times faster than adults, quickly learn languages and stay awake all hours of the night. Of course the tagline for Jobs for Babies is "April Fool’s!" Donald Trump said that women should be punished if they received an illegal abortion. In a televised interview with Chris Matthews Trump said there should be some form of punishment for women, however later last night Trump backed off saying he meant doctors should be punished, not women. Both parties are condemning Trump's comments. FBI Agents are looking for a man they say is behind three bank robberies in Center City. 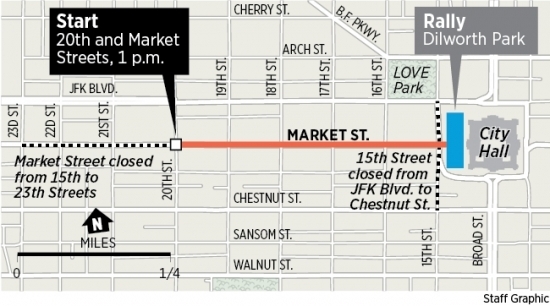 The most recent robbery was two weeks ago at The First Trust Bank on 15th and Market Streets. 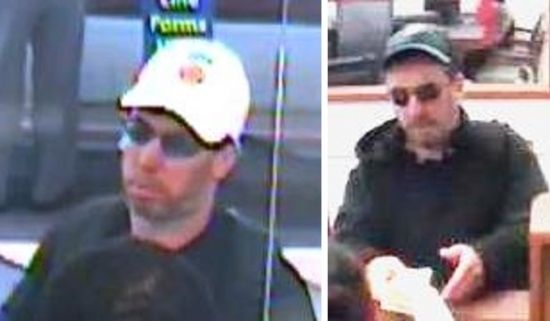 The FBI thinks the man robbed two other banks in July and October of last year. Investigators say he did the same things every time passing a teller a threatening note before getting away with the money. His disguise is a baseball cap and sunglasses. Taxi, limo and Uber Black drivers are threatening to boycott the Democratic National Convention in Philadelphia this summer unless lawmakers address Lyft and UberX services that have been operating illegally in the city since 2014. The Philadelphia Limousine Association and two taxi groups on Monday said in a statement that they would refuse to pick people up during the convention July 25-28 if the city doesn't crack down on UberX and Lyft. 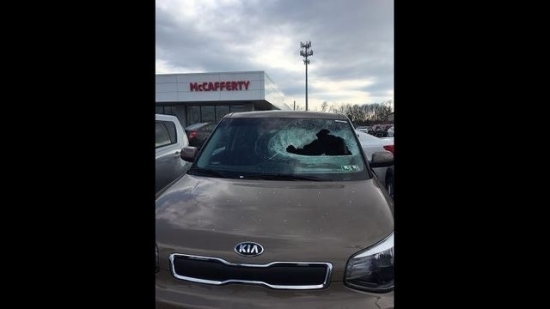 A hunk of ice fell from the sky and smashed through the windshield of a parked car in central Pennsylvania leaving a 3 foot hole. The car was in the lot of a Cumberland County car dealership on Friday afternoon. Hampden Township Police believe the ice came from a plane. A salesman was approximately 15 feet from the car when the ice hit. No one was hurt.